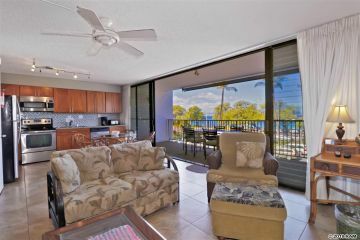 Testimonial: "The Hansen Group were so helpful in helping us find our dream condo in Maui. We are from Canada, and before we even arrived on-island, my husband made the connection with them, so we could start our research to find the perfect place to buy. The Hansens always responded to our queries very quickly, and then, when we arrived, drove us around the island to various locations to look at properties...Even after we bought, they supported our efforts in our condo makeover, and we will certainly be contacting them again for our next purchase...." More testimonials. Search for Maui Real Estate using our Maui County MLS Search. Maui County includes the islands of Lanai and Molokai as well. Find Maui homes for sale using our Maui specific search widget on the left or our detailed search form. Our family would love for you to consider allowing us to represent you in the purchase of your new home. Although we buy and sell properties all over Maui and the Hawaiian islands, the areas we know best are Wailea, Makena and Kihei. This is where we live and where our office is located. On Maui, your life-style can be defined only by your imagination. It doesn't get much better than this! Maui is the best place to buy your vacation home or future retirement property. Maui is truly the best place on Earth to live. New listings may not yet have pictures.